Gavin: Hey Christopher, first off, tell us a little bit about yourself. 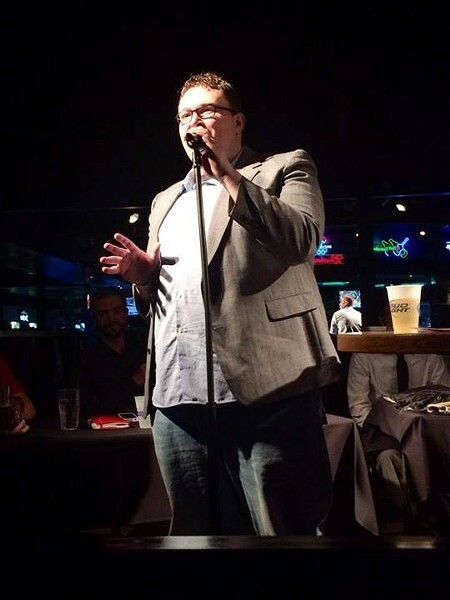 Christopher: I am a local SLC stand up comedian who likes movies way too much, talking about dating, and comparing the crazy things that happen in my life onstage to a room full of complete strangers. Gavin: What first got you interested in standup comedy, and who were some of your favorite comedians growing up? Christopher: Making people laugh has always been something I have greatly enjoyed. I've always been a fan of stand up comedy and at a young age telling jokes to family, friends, and random people has always been something I have loved. Growing up, I really liked Steve Martin, Robin Williams, Jerry Seinfeld, Dave Chappelle, Adam Sandler, Chris Rock, George Carlin and yes, even Dane Cook, where some of the funniest guys when I was growing up. Christopher: I made an attempt at it when I was 20 years old and greatly enjoyed it. When I took a break at my attempt at independent film making, I was constantly still writing jokes and missing the stage. When I got back to doing it full time last year I realized just how great doing stand up comedy was and that missed it more than I thought. From there I decided that I wanted to tackle it head on from there. I've been stage hopping as much as possible every since. Christopher: It was really great!! SLC is really the underdog of places to be a comedian. I say that because most places you go are not nearly as supportive and great when it comes to starting out and learning from your fellow comedians. We really have a fantastic stand up comedy community here in SLC. It is a lot bigger than what people think. I have been truly grateful to the local comedy community here and all the great comedians I have met. Getting gigs here is pretty great as well. Working together on shows with your fellow comedians and friends is a lot of fun. Whether it be hosting a open mic or doing a bigger show, it really is all about applying yourself and doing as much stage work as you can. The more you're seen, the more people realize the potential you have. Since I started not limiting myself to one or two stages in January, I have been getting more gigs and learning a lot. Like most things in life, it's about hard work and determination as well has having a talent for making people laugh. Christopher: I learned a lot in the first year I did comedy, as well as the past year I have come back. Timing, structure in your jokes and nailing that punchline is key. One thing that I have learned that is very important is confidence. 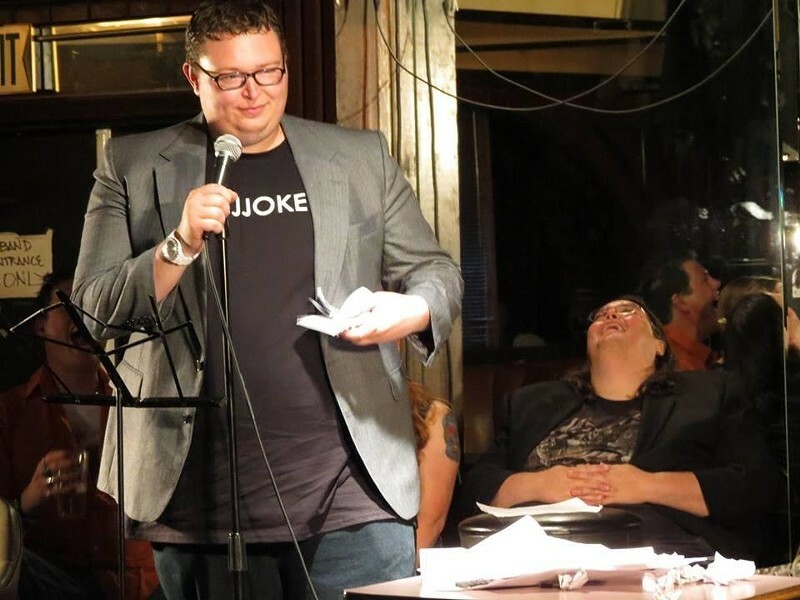 If you're up there and you seem nervous, the crowd may get distracted by that and not be as much into your jokes. Now, if your up there belting jokes with confidence of a viking destroying a small village, people will be captivated. Christopher: A lot of things I joke about are little things I notice or things that I have experienced in my crazy day to day life. I feel that a lot of comedians are comedians because of all the hilariously fated things that happen to them. For me, finding out what makes it work is just trying it out and playing with the jokes on stage at an open mic or at a show. Some of the best stuff I have come up with has been off the cuff when I have a topic to joke about and seeing what happens. Christopher: When you first start out, there is that nervousness like it's the first day of kindergarden. It's a new environment and you just hope people will be nice or at least accept you. In my experience, I got over that nervousness very quick because of how welcoming and kind the SLC comedy community is. The great thing is that you're friends in the comedy world are your competitors but in the aspect that they are also going to be the ones cheering you on at the end of the day. Gavin: There's a hashtag making it's way around called #CJJOKES. What's the story behind that? 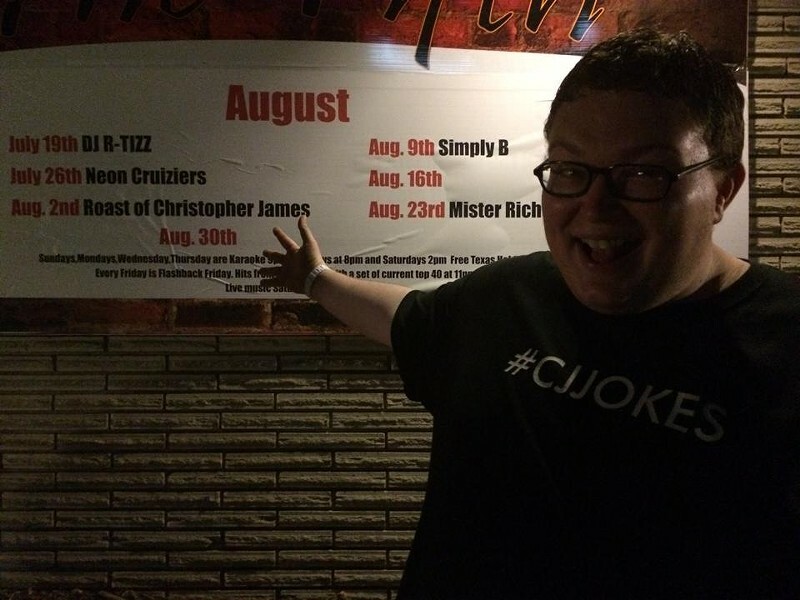 Christopher: #CJJOKES was something I started in a way to brand my comedy and help get my name out there further via social media. My wonderful, yet despicably evil friends come across it during my roast being set up and it kind of blew up before the roast, as well as continuously after. I am actually very happy that they helped get #CJJOKES out there for me. It was just a way to brand myself and now I am very proud of it. Every since then it's #CJJOKES being yelled at me and I couldn't be happier about that. 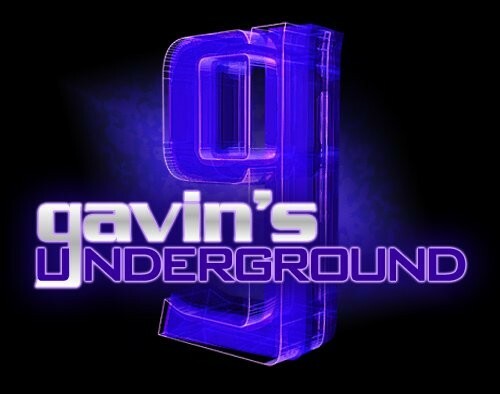 Gavin: Recently you were the subject of a roast from a number of local comedians. How was that evening for you and being able to take part in that kind of show? Christopher: It was the best way to spend a birthday and the most amazing night I have had in a long time. Having some of my best friends and fellow comedians up there tearing me to pieces in a hilarious manner was truly fun. Melissa Merlot, Jose Bacio, Steffan Reed, Nicholas Don Smith, Marcus Whisler, Paul Duane, Jackson Banks and Dustin Hagen really put on a great show. They all really did well. Paul Duane was someone who blew me out of the water with what he did. He had been prank calling me for a month, recording the prank calls on an app. He then went up on stage when it was his turn to roast me and said "Christopher, I didn't even have to write any material for you — you did that yourself," and commenced on doing the most epic roast prank known to man. People can experience that here, it really is a great YouTube watch. Gavin: What's your take on the stand-up scene and the work coming out of it? Christopher: I really think the stand up comedy scene is giving other comedy scenes a run for their money. There are so many great venues like Mo's Dinner Open Mic hosted by Jonny Brandin on Tuesdays, Jason Harvey's Comedy & Other Opinions at 5 Monkeys and Split Sides Comedy open mic hosted by Nicholas Don Smith at Sandy Station on Saturdays that are making comedy in SLC well known. 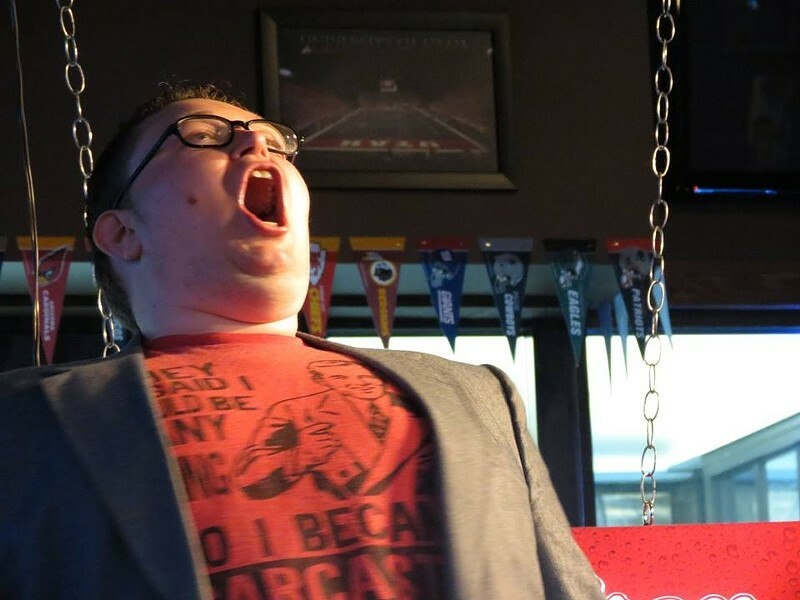 The SLC Comedy Carnival is a huge event that is going in it's second year and it is really giving a chance to out of state comedians to see just how great the scene here is. The comedy scene is really producing a lot of great comedians that are continuously impressing me each time I see them preform. SLC comedy is spreading like wildfire all over Utah and it will defiantly be a force to be reckoned with. Gavin: Aside yourself, who are some of your favorites you like to check out around town? Christopher: I am continuously impressed by a lot of the comedians here. Jay Whittaker, Nicholas Don Smith, Jason Harvey, Natasha Mower, Andy Gold, Guy Seidel, Christian Piper, Melissa Merlot and Christopher Stephenson are definitely some heavy contenders and truly hilarious. They always put on a great show. They are amazing on stage as well as off. Gavin: What are your thoughts on the clubs that provide comedians a forum to perform, and the work they do to help bring in audiences? 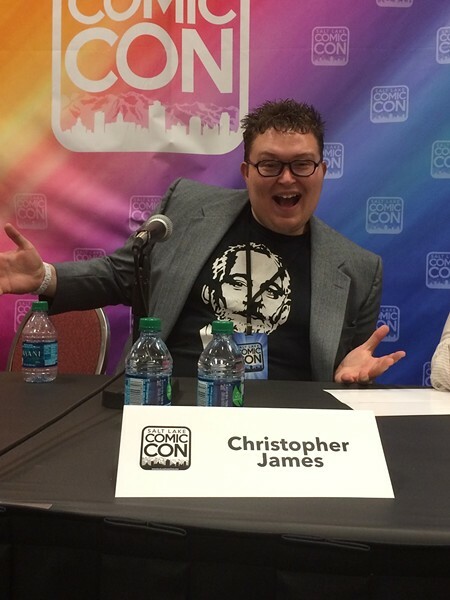 Christopher: There are a lot of stages out there that many new comedians don't know about and need to discover. There are really great ones always popping up and are a lot of fun. Places like Mo's Grill Open Mic on Tuesdays and Split Sides Comedy Open Mic at Sandy Station on Saturdays are really great places, as well as super supportive. Places like K Town Comedy, Bout Time Pub and Grub in Ogden and Movie Grille are also other great places. The venues around SLC and Utah are really great at providing a great stage and helping get the word out to drawn a crowd in. Comedians are really great at getting the word out for shows and having a venue that creates a great partnership in getting the word out with them is why SLC comedy is getting as big as it has in the last few years. Christopher: I love that the national guys come here!! As someone who does comedy, I am also a big fan of going to comedy shows too! I have met some really great national touring comedians and a lot of them are surprised at the crowds that come to see their shows. All of them are really support of us local guys and are really encouraging of us continuing what we are doing here to grow local comedy. 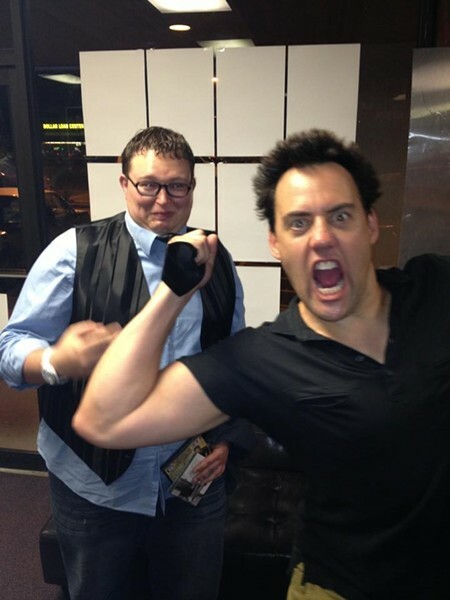 Orny Adams is a favorite of mine and someone I was glad to have the opportunity for opening for. Seeing someone as hard working and as talented as him being impressed with what we are doing here is really awesome. People who may not be aware of the local SLC comedy scene get a chance to see some of us open for them and get more interested in what we do here locally. Gavin: What advice do you have for people looking to getting into standup comedy? Christopher: Like any comedian I would say just do it and give it a shot. 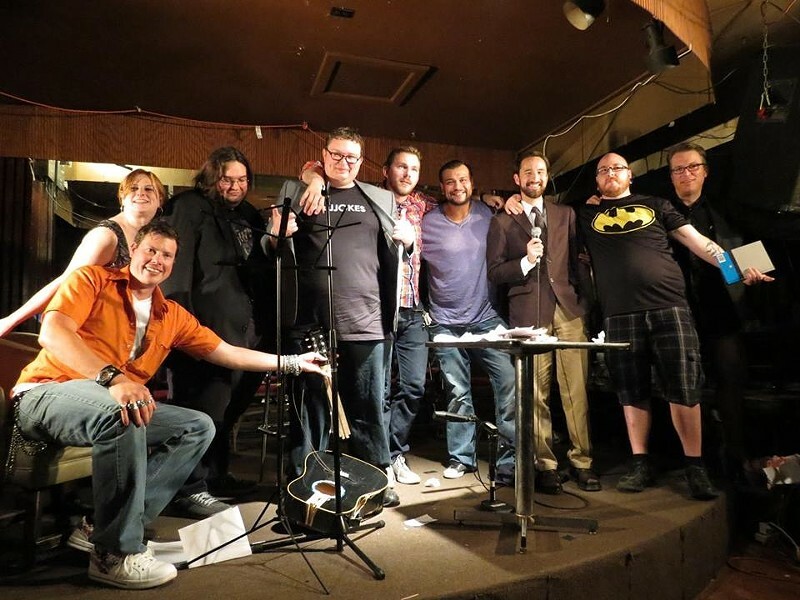 If you're going to start stand up comedy, the SLC comedy scene is one of the best places that you're going to have the opportunity of experiencing a comedy community that is going be supportive. I would also say be prepared. Write out your jokes but be accepting of what doesn't work and mold it to something stronger. Not every joke is going to land but you have the opportunity to mold it into gold. Also, hit every stage you can. Limiting yourself to one stage can become too comfortable and make you dependent of the experience you have there. Every stage and audience is going to be different, it's all about captivating them with having the confidence that you have a strong joke. Take advantage of open mics!! They are the best place to try new material and get a good start. Christopher: I am going to be preforming as much and on every stage I can. 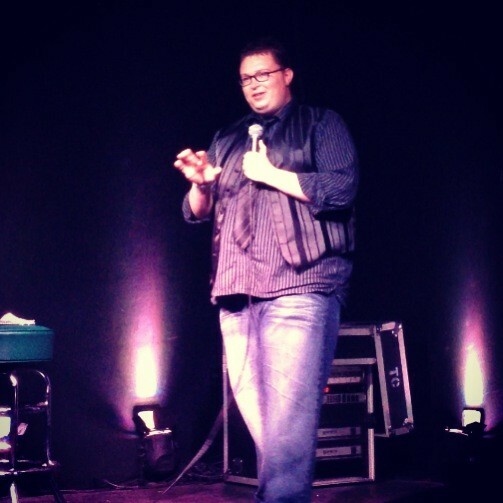 You can expect to continue seeing me around the SLC comedy scene. I am on the path of comedy where I want to keep going and continue to enjoy every minute of it. I have some plans for doing some bigger shows like Jason Harvey's Comedy & Other Opinions in October as well as hosting a few open mics here and there. I also am staring a movie podcast within the next couple of months. Be sure to look for that. I plan on having a lot of the local comedians on there. Christopher: You can support my social media pages on Twitter and my Facebook page, as well as #CJJOKES. There you can find all the shows that I will be doing in the future, as well as hows I will be doing with my fellow comedian pals.